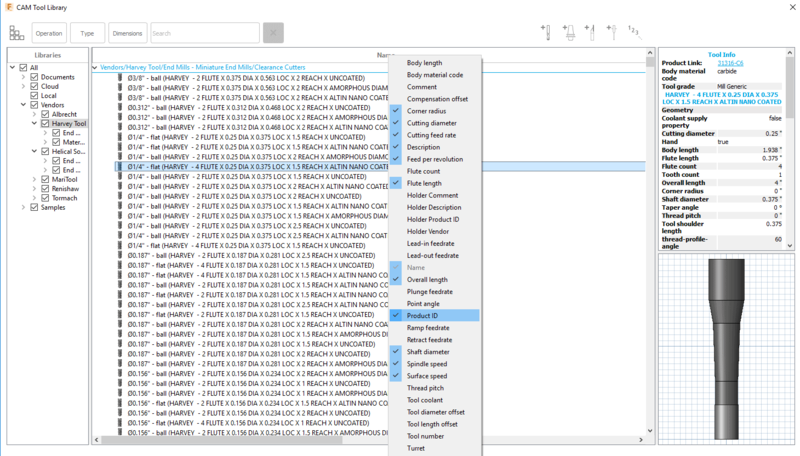 To search by tool number, simply enter the tool number into the search bar at the top of your tool library window. For example, if you are looking for Helical Tool EDP 00015, enter “00015” into the search bar, and the results will narrow to show only that tool. 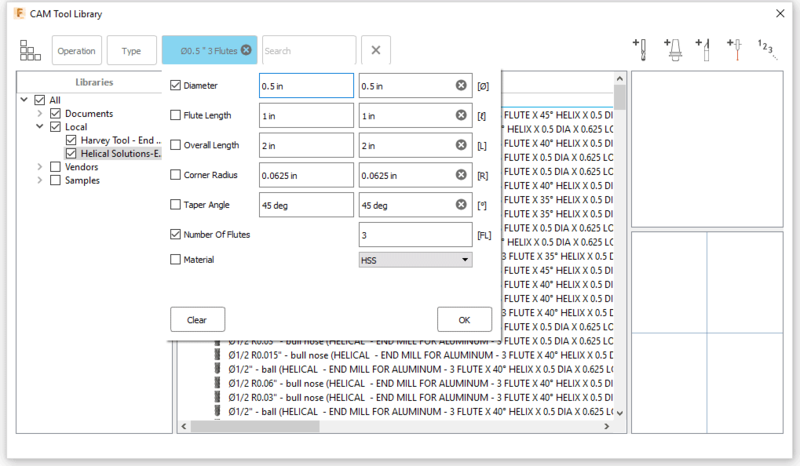 In the default display settings for Fusion 360, the tool number is not displayed in the table of results, where you will find the tool name, flute count, cutter diameter, and other important information. 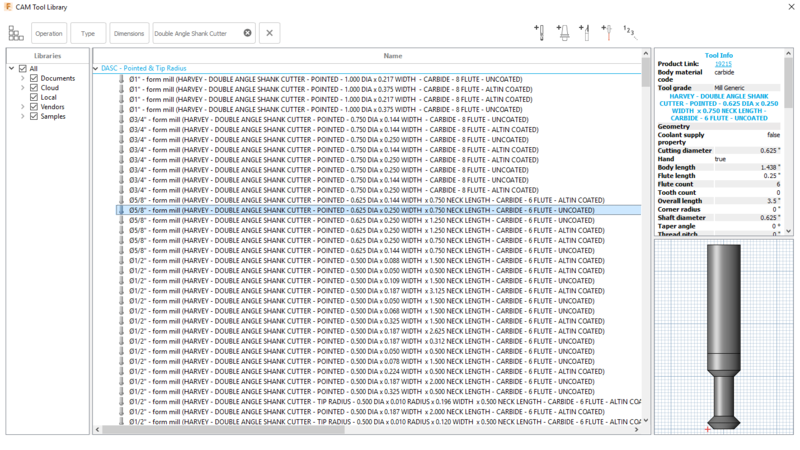 If you would like to add the tool number to this list of available data, you can right click on the top menu bar where it says “Name”, and select “Product ID” from the drop down menu. 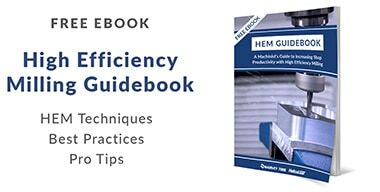 This will add the tool number (ex. 00015) to the list of information readily available to you in the table. To search by a keyword, simply input the keyword into the search bar at the top of the tool library window. For example, if you are looking for metric tooling, you can search “metric” to filter by tools matching that keyword. This is helpful when searching for Specialty Profile tools which are not supported by the current profile filters in Fusion 360, like the Harvey Tool Double Angle Shank Cutters seen in the example below. 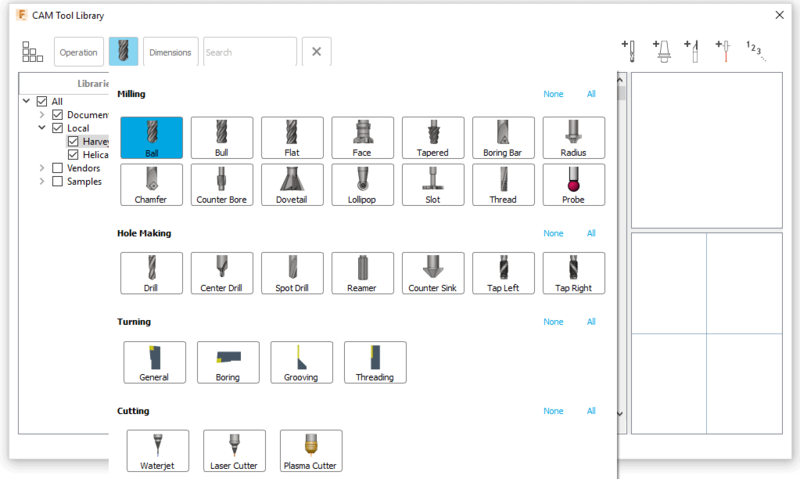 To search by tool type, click the “Type” button in the top menu of your tool library window. From there, you will be able to segment the tools by their profile. For example, if you only wanted to see Harvey Tool ball nose end mills, choose “Ball”, and your tool results will filter accordingly. 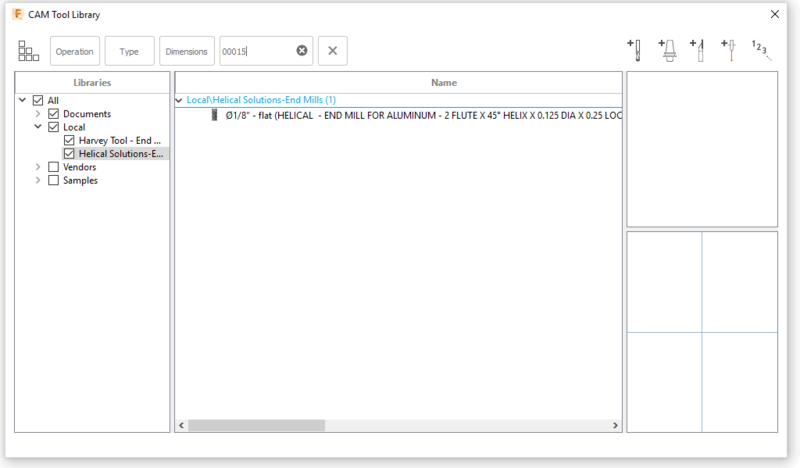 As more specialty profiles are added, these filters will allow you to filter by profiles such as chamfer, dovetail, drill, threadmill, and more. However, some specialty profile tools do not currently have a supported tool type in Fusion 360. These tools show as “form tools”, and are easier to find by searching by tool number or name. For example, there is not currently a profile filter for “Double Angle Shank Cutters”, so you will not be able to sort by that profile. Instead, type “Double Angle Shank Cutter” into the search bar (see “Searching by Keyword”) to filter by that tool type.